Exercise in our welcoming health and fitness center. The Martin Wellness Center is home to many of Gritman’s exercise programs for all ages and abilities. Exercise is a key component to a healthy lifestyle. At the Martin Wellness Center, our certified, highly trained staff can help you meet your wellness goals. We offer a variety of classes, both on the floor and in our therapy pool, geared toward helping you achieve optimum health and wellness. The center also offers exercise equipment for your use. 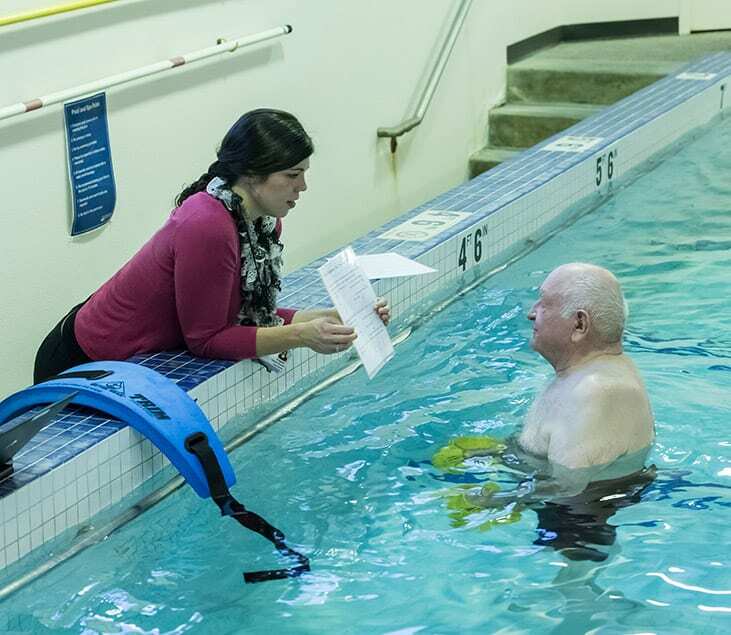 Our aquatic therapy classes are held in the Ron & Janie Nirk Therapy Pool. The pool is ideal for non-weight-bearing exercise, remaining at a consistent 90 degrees Fahrenheit. Patrons can use the pool on their own during independent swim times. The center also offers a therapy spa for a post-workout soak. Your safety is important to us. All Martin Wellness Center instructors are certified in BLS/CPR, and the majority have degrees in exercise science or kinesiology. Our instructors are also certified with Fit and Fall Proof and the Aquatic Exercise Association. To use the Martin Wellness Center, you must return a completed application, an informed consent and release of liability form and a signed waiver from your physician. This simple waiver can be sent from the Martin Wellness Center staff to your physician’s office at your request. Ask our staff for assistance. We are happy to help. The Wellness Center’s meeting space is available for community members to rent. Contact us if you are interested in renting space for an event. We are proud to be an integral part of our community’s health and look forward to seeing you here! We welcome you to reach out with questions and comments about our services and to share your personal experience.